LiteAire's™ unique dual-valved MDI holding chamber design delivers pop-up convenience and effective drug output at a fraction of the cost. 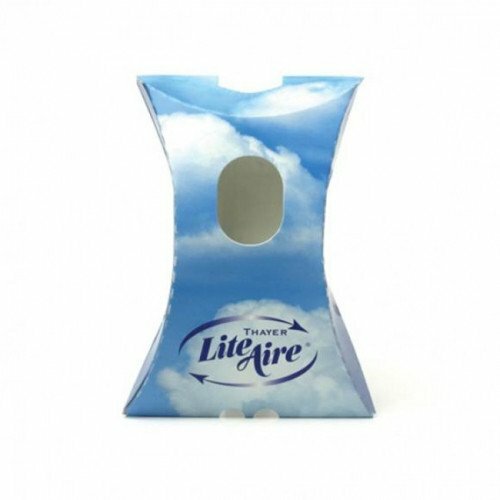 In most clinical settings, the LiteAire MDI holding chamber can reduce costs by replacing existing rigid plastic holding chambers or inefficient spacers with a cardboard alternative. This unique design allows the LiteAire to be reused by a patient over multiple doses and meets and often exceeds the performance of plastic holding chambers. For patients requiring the use of a holding chamber for immediate treatment. designed to accept all MDI's. A cost effective treatment method that meets the short-term needs of the acute respiratory patient. Complies with single patient use labeling and regulations, enhanced infection control and greater patient compliance with added convenience and portability.